Applebrook RV Parks has a variety of beautiful campgrounds located throughout Central Florida, one near Atlantic City in New Jersey, and one in the Saratoga Springs area in New York. Some of our full-amenity RV parks are geared for seniors while others cater to families. Find the one that is right for you! 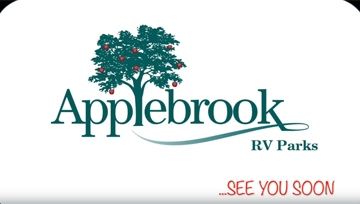 Click below for more about our locations or visit the Applebrook RV Parks website.